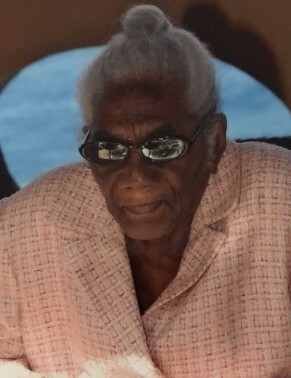 “Léonide” was born on November 18, 1912 in Petionville, Haiti and passed away on Saturday, January 26, 2019. Léonide was a resident of Stone Mountain, Georgia the time of passing. Léonide’s granddaughter Farrah, was at her bedside when she took her last breath at 106 years old, 2 months and 6 days. She was also resident of Rue Dehoux #32 where she spent most of her life. She emigrated to the USA in 1992 at age of 79 and became a US citizen in 2008 at age 95. She cast her first vote for President Barack Obama immediately after being sworn in as a citizen. She was known as a kind and giving person, adored and loved by most who crossed her path. She had five children in this order: Pierre Ançion, Rodrigue Ançion, Nicole Ançion, Denise Tassy and Ketty Tassy. She is survived by four children, 21 grandchildren, and 54 great-grandchildren . She now joins her daughter, Nicole in Heaven.